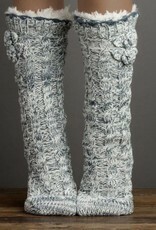 Hand knit, cabled with faux-fur throughout. 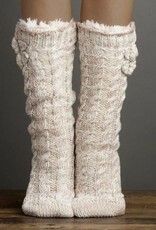 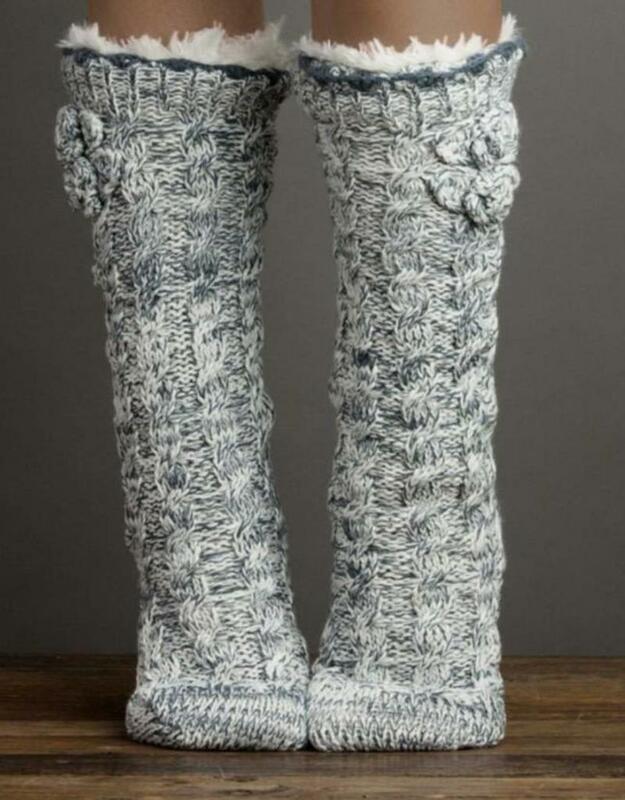 Soft, warm, cozy all the way up the leg! 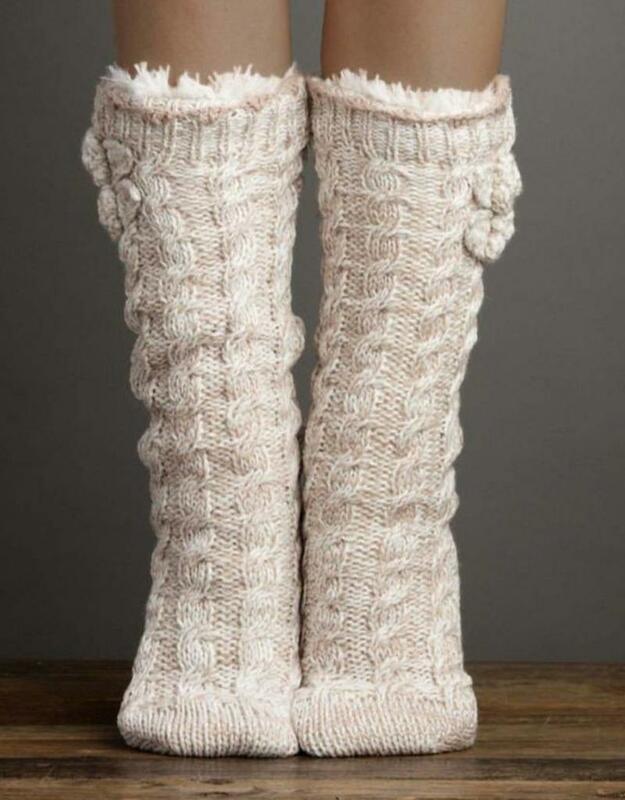 Grips on bottom of slipper to prevent slipping.